Have the Turks now gone too far? The Turks think they can use the same bullying tactics on Trump’s Washington and State Department as they’ve too often successfully utilized with Israel and previous American administrations. The current dispute between the US and Turkey is over Washington's demand that Ankara release American Pastor Andrew Brunson, imprisoned since 2016, who had a small church in Turkey that Turks accuse of supporting “terrorists–i.e. especially Kurds, who have done most of America’s fighting against ISIS and other Jihadis. The Kurds refuse to accept Turkey's claim that they are really just “Mountain Turks,” as Ankara renamed them after also outlawing their language and culture, and have forcibly reacted against their bloody subjugators. Remember what happened to some two million or more Christian Armenians and Assyrians, and others who, like today's Muslim Kurds - some 22 million in Turkey alone, 20 to 25 % of the population -, once dared to suggest that they too have their own pre-Turkish and pre-Arab invasion identities, let alone rights and aspirations in the age of nationalism. Have the Turks now gone too far? The Turks’ think they can use the same bullying tactics on Trump’s Washington and State Department as they’ve too often successfully utilized with Israel and previous American administrations. Months ago, the Turks complained about the January 31, 2018 Washington placement of Hamas leader, Ismail Haniya, on a terror watch blacklist. 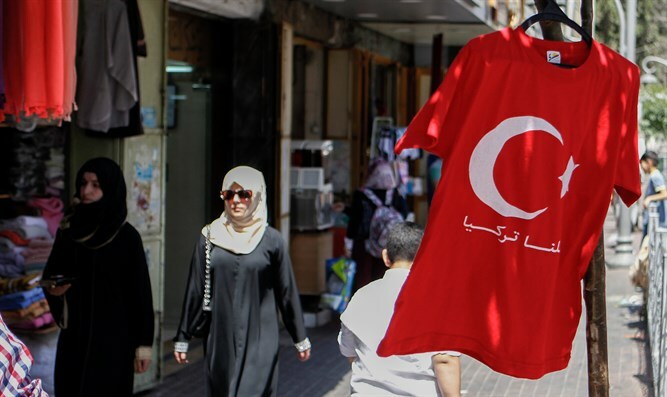 Ankara has supported Hamas substantially for years, especially since the increasingly dictatorial Recep Tayyip Erdogan’s Justice and Development Party (AKP) gained ascendency in the second decade of this century. That is the same Erdogan now issuing threats to President Trump. As the turmoil and chaos in adjacent Syria and Iraq continue but, thanks to America and primarily its Kurdish allies, appear to be winding down, the Turks increasingly have visions of partially recreating the borders of the former Ottoman Turkish Empire–at least in the Middle East. If not for Washington and Moscow’s involvement, this might already have been a done deal by now, with the centuries old rivalry between the Ottomans and Iran’s Safavid and Qajar Shahs over the region at play. Of course, Russia’s involvement is also nothing new–both in pre-Soviet and post-Soviet days. Moscow was non-discriminatory when expanding its own imperial borders via those of the other two players. Erdogan seems to have an affinity for some militant, fundamentalist Islamist groups–including ISIS and Hamas– and the border has been fluid for ISIS fighters moving between Turkey and Syria. Since I began by recalling Ankara’s ongoing support for a group dedicated to the slaughter of Jews and their sole, resurrected, minuscule nation (note: geographically, thirty-eight Israels fit into Turkey; Israel’s population is about 1/11 its size with about the same 20% or so mix of Arabs to Jews as Turkey’s Kurds to Turks), my concern will not be about such things as why or how modern Turkey transformed from Ataturk's post-World War I secular state to one closely aligned with Islamist extremist groups. Instead, I will focus on a comparison between what Ankara faces regarding its own real or perceived threats - hence Pastor Brunson’s imprisonment - and how Israel has handled what is a far worse situation. For quite some time, Turkey has wanted to have it both ways with Israel and Israel has let them get away with it. And in many ways, you can substitute Washington for Jerusalem. The Turks have sought economic and military ties and have expected Jerusalem to help in their own matters of “internal security.” In turn, for a while, Israel obtained a powerful Muslim, but non-Arab, neighbor which was not looking to have it for dinner and with which it could have somewhat reasonable relations - and another place for Israelis to visit. Jerusalem, however, was expected to allow Ankara to dictate terms of this relationship. Recall the Turks’ support of the notorious MV Mavi Mamara incident in 2010, for starters. Erdogan expects to be able to continue to dictate such terms to Washington as well. For well over a half century, the State Department has allowed the shafting some 35-40 million truly stateless people in the region. Nothing changed much with the advent of Trump, until now. For Israel at least, the cost has been too high. Specifically, Jerusalem has assisted alleged Turkish friends in the subjugation of those who pre-date both Arabs and Turks in their area by millennia, and who are still struggling for basic human and political rights, the Kurds. While Israel has assisted them in some ways, Israeli intelligence and weaponry have also helped Ankara in their suppression. This must finally come to a halt. The Arab enemies which Israel faces just among “Palestinian” Arabs (most of whom were newcomers into the original 1920 Mandate themselves)–Fatah, Hamas, Islamic Jihad, and so forth–have one long range goal, the destruction of both Israel and its Jews. Mahmoud Abbas’s Fatah and the latter-day Arafatians of his Palestinian Authority (P.A.–formerly the P.L.O.) play the good cop “moderates” in order to milk dhimmi nations for $$$ billions while building up their own military, courtesy of Uncle Sam and others. Arafat's Swiss bank accounts are legendary. Bad cop Hamas terrorists are simply more honest. They get most of their gelt from Iranian mullahs and the new, would-be Turkish Sultan, Erdogan. Look at both Fatah and Hamas websites and such in case you think there’s really a difference in their ultimate plans for Israel. It can’t be emphasized too often that on the overall balance sheet, an Arab state emerged after World War I on almost 80% of the original April 25, 1920 Mandate of Palestine. In 1922, most of the original territory–all the land east of the Jordan River–was handed over to Arab nationalism (in one of its many stripes) by Great Britain. So, right from the getgo, and contrary to Arab taqiyya storytelling, most of the land was given over to Arab nationalism–not to Jews. Had Arabs accepted the next proposed 1947 partition, they would have wound up with almost 90% of the total area…They rejected it, because, in Arab eyes, no one except themselves had any rights in what they call “purely Arab patrimony” and the Dar ul-Islam. This is the same policy the Turks have followed regarding tens of millions of other non-Turkic peoples within the Anatolian Peninsula as well. Since those days, Israel, one half of whose Jews who are from refugee families who fled the “Arab”/Muslim world, has made repeated attempts to reach peace via yet additional, so-called land-for-peace measures. Fatah, Hamas, Islamic Jihad & Co. have been engaged in continuous efforts to eradicate Israel and its Jews by any means possible, and civilian targets have been the most sought after for shock value. On more than one occasion, the Turks have withdrawn their ambassador and have taken other measures in rebuking Israel for its defensive actions. As we’ve already seen, this people pre-dates the Turks’ arrival in Turkey from central Asia by thousands of years. As Arabs burst out of the Arabian Peninsula from the 7th century C.E. onwards and slaughtered, conquered, and Arabized lands and scores of millions of native peoples in all directions, Turks later did the same—minus the Arabization (though they themselves had also been Arabized in various ways). Like Jews in Israel, Kurds were there long before an Arab or Turk ever conquered them and their lands. The first Kurdish nationalist revolts in the area dated from the 19th century. Others would come as well…especially after London’s betrayal. The emergence of powerful Turkish and Iranian rulers after World War I (Ataturk and Reza Shah Pahlavi) wound up leaving Kurds stateless in the new age of nationalism in the region. Other peoples were gaining freedom and states of their own after the collapse of empires in the Middle East and Europe, but not Kurds, a sure recipe for explosion. After Great Britain won a favorable decision from the League of Nations in 1925 tying the oil of Mesopotamia’s predominately Kurdish north to the British Mandate and subsequently to the new Arab state of Iraq, promises earlier made in support of Kurdish independence were aborted, and the Brits militarily aided Arabs in squashing Kurdish dreams. Kurds were betrayed via a collusion of imperial British petroleum politics and Arab nationalism, as the main arm of the British Empire–the Royal Navy–had recently switched from coal to oil. And after Iraq’s Shi’a army with Iran’s help chased Kurds out of Kirkuk with American tanks, guess who began pumping oil again from there? British Petroleum, BP. Unfortunately, Kurds have been used and abused by many players ever since–again, to some extent, including both America and Israel. Turks, at times, also used them to do their own dirty work vis-à-vis Christian Armenians and Assyrians. A good place to start for some review of the American travesty might be the late, great William Safire of The New York Times’s “The Sellout of the Kurds” op-eds in the 1970s. As World War I came to a close, being a mere remnant of the former great Ottoman Turkish Empire, Ataturk’s Turkey was determined to see no further geographical losses. That being the case, in the age of nationalism, what was there to do with millions of non-Turkic people who predated you on the land? in the Turks’ eyes, you could just rename and erase them as a people, outlaw their culture and language, intimidate, murder, and subjugate–etc. and so forth (note: Arabic is the second national language of Israel, Arabs have their own schools, are members of the Knesset, are free to curse Israel, side with other Arabs who wish it dead, etc. and so forth). Kurds have been “Mountain Turks” ever since. Arabs have used these same tactics towards them as well. The Syrian Kurdish scholar, Ismet Cherif Vanly’s book, The Syrian ‘Mein Kampf’ Against the Kurds (Amsterdam, 1968) speaks volumes about this. The militant and sometimes resorting to terror, originally revolutionary Socialist Kurdistan Workers’ Party (PKK) – which Pastor Brunson is accused of assisting - was born amid this horrendous subjugation of the Kurdish people. Unlike Arabs, with almost two dozen states (carved out largely from non-Arab peoples’ lands), Kurds have been a truly repressed, stateless people. They have suffered horribly because of this condition–long before Saddam Hussein’s Arab Anfal Campaign slaughtered some two hundred thousand of them in Iraq in the 1980s. Compare this Kurdish quest for justice to the 22nd state Arabs demand at the sole state of the Jews’ expense, which would be, as we have shown above, the Arabs’ second one in Palestine, the first being Jordan And the much later renaming of local Arabs “Palestinians,” fools no one except the ignorant or those who want to be fooled. Syria Palaestina was the name the Roman Emperor, Hadrian, bestowed upon Judaea after squashing the Jews’ second revolt for freedom in 135 C.E. to rub salt into the wound. It meant the land of the Philistines, the earlier non-Semitic/non-Arab, invading “Sea People” from Crete., and was done in an attempt to put out the embers of Jewish hopes for independence once and for all. While Erdogan’s government vociferously supports Hamas, rants against Washington for placing the latter’s current chief on a terror watch list, and threatens America over sanctions it has enacted against Ankara because of the Brunson affair, it must again be asked…what compromises did Turks make with their own real or perceived national competitors, especially the Kurds? Did Turkey agree to a partition with its own twenty-two million or so “Mountain Turks?” Of course not. As we’ve seen, Jews accepted repeated partitions with Arabs, resulting in the latter getting most of the territory–despite their lies and taqiyya fairy tales. Unlike Hamas, the PKK was born not only out of this total denial of Kurdish rights, but the attempted eradication of the Kurds’ very own identity and the massace of tens of thousands in the process. Arabs have done this to their own perceived nationalist competitors as well. Whatever its bloody sins are, the PKK (and its Syrian affiliate) that Pastor Brunson is accused of somehow aiding has never sought the destruction of Turkey nor of its people. It has merely sought rights for Kurds–not “Mountain Turks”–which the Turks refuse to grant…ironically, those very same rights that Ankara expects Israel to cede to those who would certainly destroy it if given half a chance. 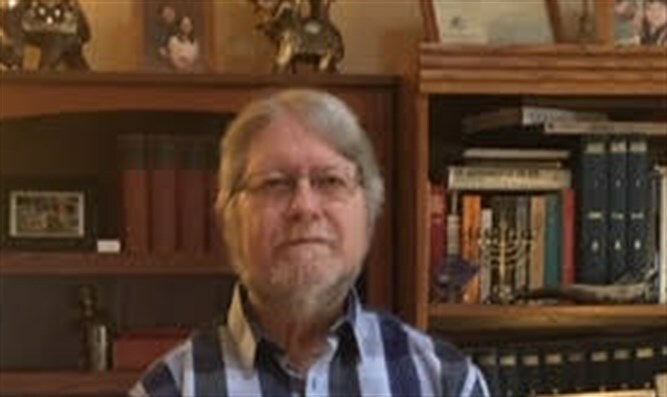 Gerald A. Honigman is a Florida educator who has done extensive doctoral studies in Middle Eastern Affairs. He has created and conducted counter-Arab propaganda programs for college youth, has lectured on numerous campuses and other platforms, and has publicly debated many Arab spokesmen. His articles and op-eds have been published in dozens of newspapers, magazines, academic journals and websites all around the world. You can visit his website at geraldahonigman.com Gerald A. Honigman is a longtime senior contributing writer, from 2007, and columnist for Ekurd.net. Honigman has published a major book, “The Quest For Justice In The Middle East–The Arab-Israeli Conflict In Greater Perspective.” For more see below.